Directors Ask: Can Blockchain Technology Save Us Money? Where is Blockchain Working Today? Are Digital Coins in Bubbles? 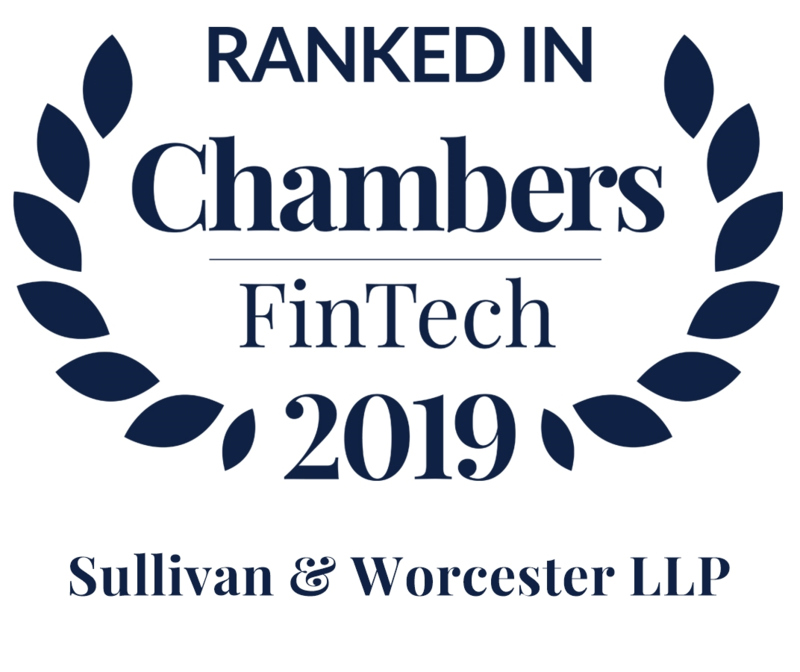 As a thought leader and a trailblazer in the industry since 2014, Sullivan & Worcester represents more than 100 blockchain clients whose size varies from top 10 cryptocurrencies by market cap and large enterprises to smaller startups. We help our clients pursue business ideas never done before. These new ideas involve unseen regulatory uncertainty and have forced us to think beyond traditional ways of practicing law. We help clients navigate emerging legal issues and regulatory uncertainties, manage risk, identify opportunities and proactively plan for the future. With deep financial, regulatory and technological expertise, we ascertain the implications blockchain will have on our clients’ operations and prepare them to offer new services and products. Working with entrepreneurs, investors and established companies in a range of industries, we provide strategic guidance to help clients finance, develop and capitalize on the promises of blockchain technology while gaining a competitive edge in the marketplace. Joel Telpner structured some of the first ICOs and blockchain-based applications. He is famous for structuring the first issuance of digital securities utilizing blockchain technology for Overstock.com and helping in launching Overstock’s distributed ledger platform, tZero. Our practice is highly adaptable, working on unique, often first-impression issues: a novel two‑token ICO structure that incorporates utility and security tokens; a net-positive environmental and social-impact offset token; asset-backed token offerings; a retail crypto exchange; and others. As a result of the practice group’s success in the last 12 months, our client roster has expanded to more than 100 blockchain and cryptocurrency clients. We are at the forefront of regulatory development in the blockchain space. Joel Telpner works on global policy initiatives with the Blockchain Research Institute, the Wall Street Blockchain Alliance, the Blockchain Global Business Council and Wharton Reg@Tech, among others to develop guidance on best practices for ICOs and manage the legal issues surrounding digital currency and distributed ledger technology. In one of the more unanticipated developments this year, we have begun advising various governments interested in blockchain and digital currency applications in regard to monetary policy, legislation, citizens’ identity creation and management, property record keeping, and additional state-related issues. We advise clients on nearly all aspects of fintech and blockchain transactions, including some of the largest cryptocurrencies, enterprises, startups, funds, central banks, and digital asset exchanges. We also advise regulatory bodies worldwide on emerging fintech and blockchain issues.